Five articulated lessons focus on air quality using classroom and field data collection activities. Case study in Great Smoky Mountains has broader application. 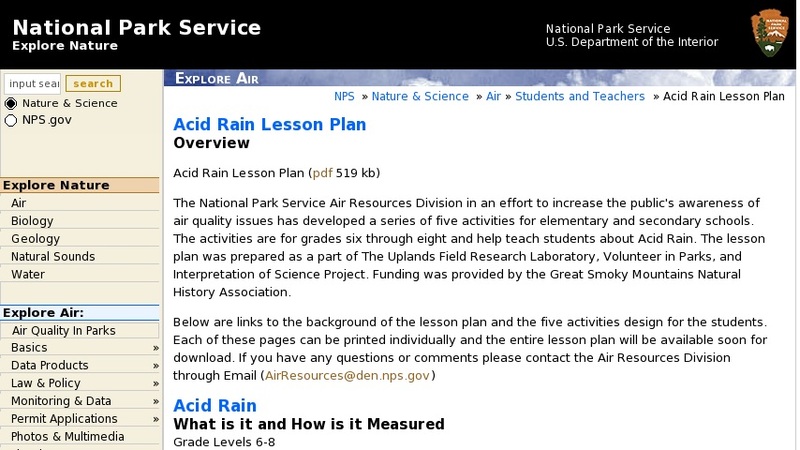 Background and data for lessons on: the pH scale, understanding acid vs. base, collecting data, mapping relationship of weather events to acid rain. Links to NPS data on air quality, current values, atlas and reports, packaged datasets on ozone, meteorological conditions and other parameters. Also available: teacher resources; educator workshops.